The messages I get for February are that it’s going to be a rough start….on the outside. We may feel like we are dilly-dallying a little bit, and find bothersome situations that continually challenge us. This will cause some troubles in communication, and maybe even some conflict, making us feel like we are at a stalemate. We’re going to feel wishy-washy, unsure of what to commit to or how to make changes. On the inside, we’re going to really understand, and deepen our understanding, of how powerful our insights and intuition are, and how important it is to stay true to ourselves. We’re being reminded how important our own needs are, and will need to be patient in finding right ways to provide space and caring for ourselves. This means finding the value in taking a STEP BACK, observing, and waiting quietly as we connect to our inner knowing. This month is helping us to look at our personal situations in a different light, and to CLARIFY our intentions and desires. We are figuring out where exactly we WANT to put our energy, so that it is only directed into productive and great-feeling ideas, projects and situations. We’re learning to pay attention to our own great ideas and insight, so that we can truly figure out our next step. We may feel like we’re at a stalemate during the first half of the month, but this is where our 2019 really begins: we are breaking away from taking any “empty” action just for the sake of taking action, or simply reacting to others! Instead, we are figuring out how to ONLY put our focus and energy into what is meaningful, what is passionate, what is loving, what is true for us. Remember we are all learning how to REINVENT ourselves this year….this requires patience, and a reprogramming of our typical behaviors. The trick will be to only do what we feel is right, and to not be pressured into doing something or to be forced into a perspective that doesn’t resonate with us. This is a month to STAY TRUE to your values and beliefs, while letting them evolve in whichever way is right for you. Again: do what is right for you. As we crawl towards the last half of the month, we may find the answers, actions, opportunities and insight we’ve been seeking. The first half of the month has a “sit, be patient, don’t absorb the conflict, and figure out what feels right to you” vibe, whereas the last half of the month has a, “you know increasingly more about what you want and who you are: now get to work, and try some things” vibe. What causes us any confusion this month will come to make sense. Even if we’re not sure what concrete “decision” to make, we’ll still have a better sense of identity that will propel us into action in the coming months. The guidance is to stick to your truth, and trust that everything is going to work out as it needs. Don’t do what everyone else is doing; do what is right for you, however unique that may be. Believe all will work out in your favor. Accept yourself, your ideas, and your heart, and let your sense of self-worth grow as you acknowledge your needs, your desires, and your inner knowing. 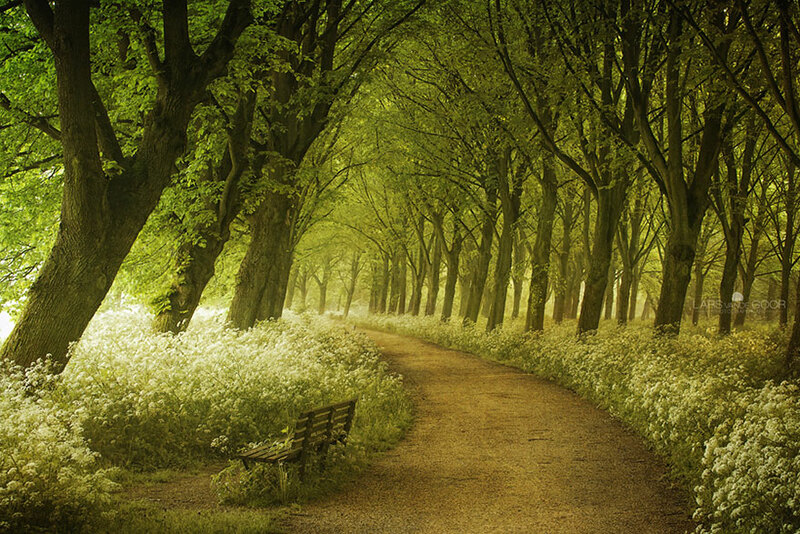 If we feel a path isn’t right for us, committing to finishing it will open up our next path and bring us the change we need that will resonate with what we are feeling inside. Archangel Uriel came through for this month. He is the archangel of ideas and wisdom. He will bring you the insight and clarity you need to progress your life purpose and show you the truth of any situation. He is my personal favorite, as his energy is bright and full of sunny yellowness! Call on him to shed light on any situation, or to help you clarify your insights. He will bring you the ideas you need for your next progression and steps. Hello dear ones, I am Archangel Uriel. Thank you for welcoming me into your space. I point this out, because this is precisely your energy for this upcoming moon cycle. It is welcoming energy into your space, and anchoring into the concept of FLOW. For so long you have been fighting and challenging against things: people, structures, old perspectives, institutions. Now you are ready to take a break from this energy of challenging and going against things, and ready to welcome things into your life. That energy was necessary for you to set boundaries, to demand your sense of space. But it can only take you so far….and now it is time to embrace the next part of this cycle. This next stage is all about FLOW: what you are willing to accept into your life. Will you let your ideas flow to you? Will you let the experiences you need flow to you? This does not mean accepting unpleasant things, but rather the GROWTH that results from your experiences. This is a time for you to not only hold a safe space for yourself, which you have learned how to do, but to allow what you want into that space, or what you feel divinely guided to accept. Letting go of this fighting energy may be difficult at first; when humans become used to doing something, the habit clings tightly because it is what they know and how they are used to being without a second thought. But if you bring awareness to that, and meditate upon, “What do I wish to flow into my life?”, you are focusing on flowing energy. Allow yourself to be swept up in this flow, because all ideas are being guided in by your Divine Love. Don’t simply pay attention to your ideas and feelings, but accept them with open arms, and then sit with them for awhile. Let them flow in, and take you for a ride. Playing with them and daydreaming is part of the flowing process. And then, when it feels right, you take action, and it will feel so good because you are merely flowing with your Divine Guidance. You are letting your intuitive current carry you. You are on your way to finding FREEDOM. Trust in yourself, trust in your guidance, and flow with your intuitive knowing…whatever that may be. If you focus only on what is happening on the surface, you will be hitting the ‘reset’ button over and over again. Connect to your knowing, and FLOW. Flow with your independence! Flow with your desires….even if you feel you cannot do anything about them yet. Allow things to finish as they need, and in this you are finding your new beginning. Think of December as the month of “Peace with a Purpose.” 2019 is going to be a huge action year for all of us, so December is offering us the opportunity to continue this year of release, healing inner conflict, and of finding transition from within. Use this month to continue to let go and let God, to practice self-nurturing, and to just let yourself continue the practice of getting into the flow of things. That’s not to say December won’t be busy, especially with many celebrating the holidays. However, no matter what is happening, it is up to US to practice inner harmony so that we will feel emotionally stable and strong enough to create the changes that lie ahead in the following year. Change, whether it feels positive or negative, can be tiring and requires energy adjustment; so, December is our month to prepare our energy by practicing peace and tranquility. It’s a time to take good, conscious care of our physical bodies, our mindsets, and our emotions. Doing this “energy preparation” will help us anchor into our power even further, and feel strong enough to take on any changes, growth steps or transitions that come our way in 2019. Use this time to continue to clear blocks in behaviors and perspectives, and practice surrendering to the Universe. It’s a relatively quiet month of trusting ourselves, taking time for reflection, and having faith in our journey. We don’t need to push or force anything to happen this month; we just need to use this time as a way to relax, and to get connected to the guidance of our hearts. Archangel Uriel comes through this month, who happens to be my most favorite. His name means “Light of God”, and he sheds clarity, wisdom and truth to us when we feel we are in darkness. When we need ideas and inspirations, he is the angel to call upon! 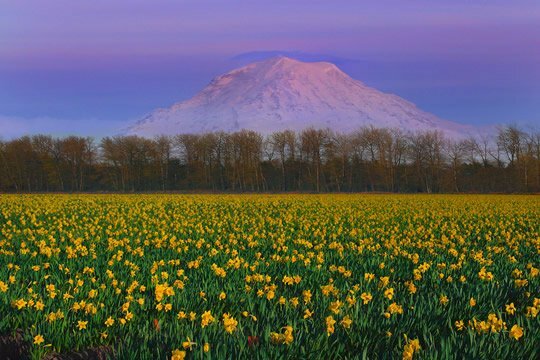 His colors often appear to me as gold and yellow, and I typically experience a lot of warmth when I connect with him. Many channel him, but his messages always have a common thread: cutting through illusions, sparking our inner light, and empowering our minds. I find him one of the most accessible Higher Beings to receive from, and I invite you to sit quietly with a pad and pen, and ask him for messages for yourself, writing whatever comes to you. He will surely help you channel some insights that can be used in the present, or later on. Imagine that you receive a bag mysteriously from an unknown source. It is left on your doorstep, on a clear, sunny day, but no one is in sight. Inside the bag are a multitude of seeds. You have never seen these types of seeds before, and have no way of identifying them. You are confused; what are you to do with these seeds? You put them on a shelf, and forget about them for a length of time. Some months later, you come across a book or a person or an idea about a particular plant that makes you excited. You want to grow that plant and have its beauty in your garden. You want to reap its fruit and enjoy its flowers. Instead of having to find those seeds, you realize that you already have them; they are sitting on that forgotten shelf for you. Now instead of having to go seek them out, with the desperate energy of wanting to get started on the planting process, you can do it now without waiting. What’s more, in the past months, you have magically accumulated more tools that have been sitting on the shelf: a rake, a shovel, a watering can. You realize you have everything you need now, including the knowledge, to make your garden grow. Here is what your growth is like. The seeds represent your ideas that you don’t know what to do with; so, you put them on a shelf in your mind, and let them sit there till you are presented with the skills and knowledge and the resources to embrace those ideas and help them grow. This is how the universe works: you are given the beginnings of what you need before you are ready to take any action with them, because it is better to receive those ideas first before receiving the actions to take on ideas that aren’t yet there. Otherwise, actions become empty actions because you would not plant nothingness into the ground and expect something to grow! All the ideas and thoughts and reflections you have are for this purpose. They are here for you, always here for you, for when you are ready to do something with them. Feel safe in this knowledge that you ALREADY HAVE the beginnings of what you need to grow something further down the line. THIS is wisdom. It is knowing what you have without rushing to take action on what you have. Wisdom is being in the flow of receiving your seeds and resources, and being in the flow of knowing when to learn about those seeds further, and to accumulate your tools, until you are ready to take action. So during this time period of yours, my dearly beloved, sit with your seeds. Use this time to reflect, and to cleanse yourself. You are the fertile ground that is currently being prepared for growth. Your ideas are the seeds that are ready to be planted within you, and sprouted over time. You are being cleansed and tilled, with the weeds of self-doubt and emotional difficulty being cleared out of you, so that those seeds of ideas and insight and inspiration that are currently waiting in the shelf of your mind can be planted in purity as time moves on. Rest in the wisdom that you have this time period to prepare your fertile ground with rest, with emotional cleansing, and with acceptance of change. Your ground is about to change, but with change comes growth, and growth through experience is your purpose. 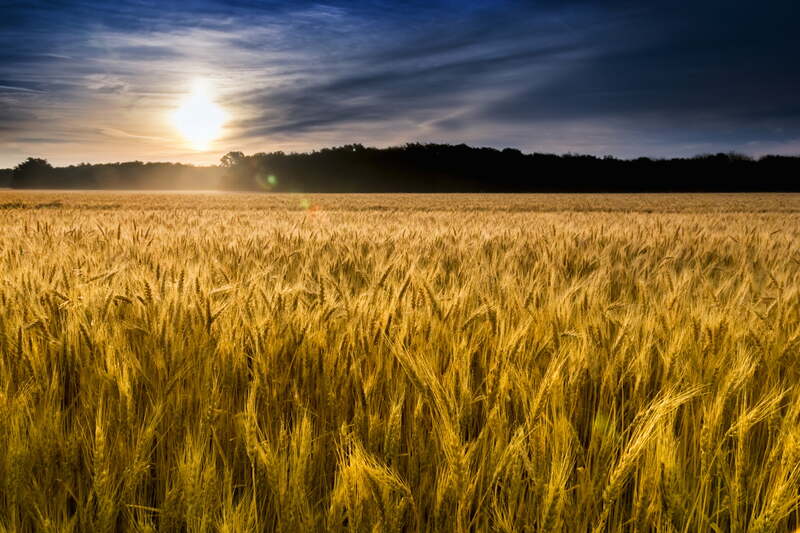 Experience includes these “quiet” times of meditation and of gaining insight, of inviting new bags of seeds to be dropped upon your doorstep, so that you can take them immediately once your ground is ready to be sown. I love you always, and my light is always here to shine upon your hearts and minds. 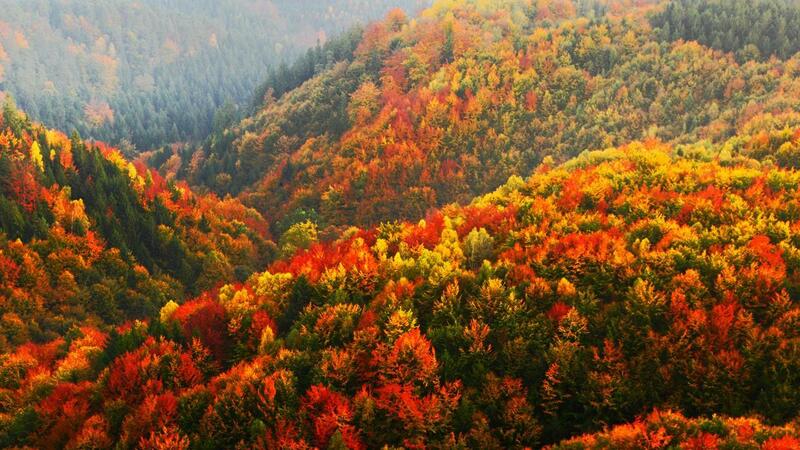 October is a new beginning, but not in the sense where we completely start over from scratch. There is no need to discard or destruct what is already in existence. Rather, this is a time to keep building upon what we have surfaced over the last nine months. Whether this means to keep beautifying a new home, or simply keep building upon your ideas and goals with small steps, use this time to strengthen your new layers. Gentle, balanced, heart-centered action will create the strongest foundation for us. When we place the majority of our focus on building these new layers, the things that no longer serve us will either dissolve naturally, or we will release them more easily and without regret. It is so much easier to walk away from things that no longer serve us when the majority of our energy is focused on what DOES serve us. Loss feels less like loss, and more like a spring cleaning, where we select items that are no longer in our use and donate them to their next owners. With this energy of building upon our new layers, we will continue to crave that security and stability. The guidance I receive for this month is to build emotional stability within ourselves. One way we can do this is to look towards our meaningful relationships with others. Use connection with the people you love to strengthen the love in your heart. It will also help give us a fresh perspective on the relationships that aren’t working for us anymore, and help us determine who we wish to continue evolving with. This doesn’t mean to look to others to make you feel better, or vice versa; it simply means to allow these connections to be opportunities to share and express love, appreciation, healing and joy. The most powerful tool for building emotional stability is through self-acceptance. My guides say self acceptance does not come from proving ourselves to the outside world. It comes from the quiet knowledge that we are always in the right place at the right time, which gives us that ‘alive’ feeling. It’s acknowledging our existence as perfect and purposeful. By saying to ourselves, “I am exactly who I need to be right now,”, we create emotional stability within ourselves, and anchor our spiritual energy into our physical form, for these words are a verbal expression of self-acceptance and self-love. This helps melt away any outside drama that doesn’t belong to us, dissolving it from our mental hemisphere, and brings the focus onto the love we have within us. Love is existence, and existence is love, and focusing on one also focuses on the other, for they are the same. Allow stability to build within you by acknowledging your perfect existence. Good, old, trusty Archangel Michael came through this month. When I tune into his energy, it is like that of a loving, older brother, here to look out for us, give us advice, and also to make us laugh and have fun. His energy is one of encouragement and support, which includes encouraging us to be expressive, goofy and authentic. He guides us away from the past, helps us make changes, and gives our confidence and courage a major boost. I focus on the color blue when I want to connect with him, and his presence reminds me of Metatron at times where it feels enormous and encompassing. Call on him this month to give you confidence and help you with your self-acceptance. 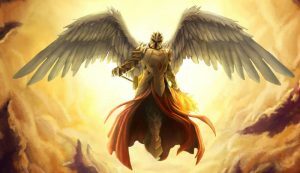 Dear ones, I am Archangel Michael, and I am here by your side to guide you and give you confidence. Do you know what your current state of expansion means? It truly is quite simple: you are learning to embrace your own light. 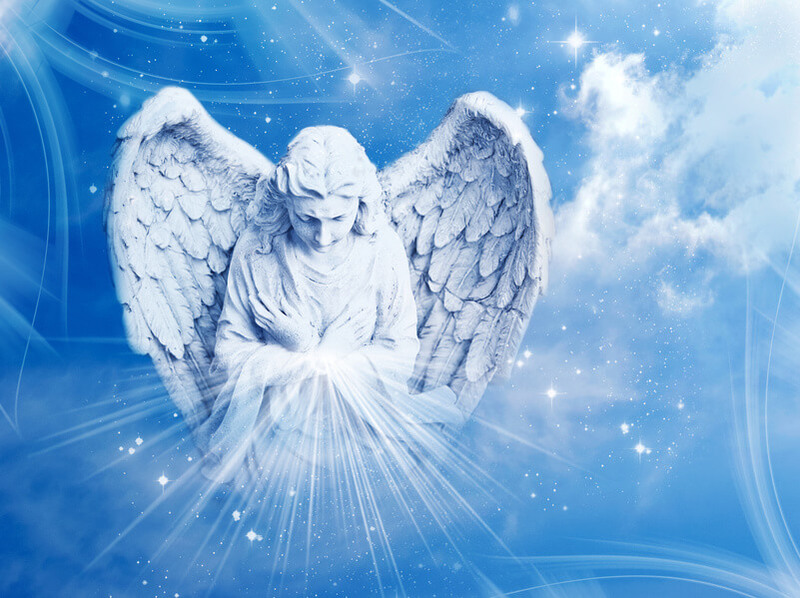 As us angels, you are pure light beings, as everything is. The trees are light beings, the animals outside your home, and every drop of water. The only difference is your light has manifested in physical form, and in this denseness you are the great experimenters, seeing how to be the light within matter. Yet I tell you that the discovery has been made, and you have already figured it out. For your light is not something to be discovered, but to be acknowledged, seeing that it has been there all along and not something to coax out. This is why light came first on your planet, for it is the source of all life and creates the components of physical life. Everything on your planet is simply interacting with the light, including yourselves and the processes of all physical forms even if they are not consciously aware of their bodily processes. I tell you this to encourage you along in this physical form. This physical form is so beautiful. It is so perfect. It is here to acknowledge and interact with the light. So I give you this question to ask yourself: “How may I interact with my light?” Asking this question is all you need to expand. It is all you need to expand your experience, your awareness, and your love of life. Ask how you may best interact with your light, which is yourself and the core of who you are; it is your source. And you will begin to see the source of light in all things. And when you ask how you may best interact with your own light, you shall see the light of all things, and will know how to also interact with the light of all things. So, your experience expands by acknowledging the connectedness of light throughout you and all things, and the light of all weave into each other’s experience to grow and expand. So, now I tell you that that sitting still is not sitting still at all; it is you, interacting with your own light. This leads to the expression of your light, and further interaction. When you are kind to yourself, you are interacting with your own light. When you follow your intuition, you are interacting with your own light. When you take a walk in nature, you are interacting not only with your own light, but also with the light of the trees and plants and animals, and this expands each other’s light. You can feel your light expand when you feel joy, or healing, or inspiration, or strength, and many other things. Use this time to ask how you may interact and honor your light. HONOR your light, dear ones. Do not be afraid of setting boundaries; your boundaries are set to give your light a safe space to shine. Some are not ready to interact with their own light, or with yours; and this is part of their journey, to discover their own light as best they can right now. Honor their light by allowing them this space, and honor your own light by giving yourself the space you require. You simply need to ask, “How may I honor and interact more with my light?” and the intuitive knowing shall come to you. It may mean taking a day of rest, or painting a picture, or calling a relative to speak with and have a light interaction with each other; do not overthink it. Your heart IS light, and is your source; it will always lead you towards a place of healing, truth, love and knowledge. Trust your light source, your heart. Pay attention to your body. Your stomach contracts and your neck stiffens when you are constricting your light. You can feel it in your body. So breathe, which is a way to circulate your light throughout your being, and release the constriction. Your body is simply communicating when you are not interacting with your light, but hiding it away for fear of others and what they present to you. You see, when you feel constricted with others, it merely means you are withholding your light; you are not interacting with it, but matching the energy of the other person who may feel equally constricted with their own light, and are consciously unaware of it’s presence. This feels uncomfortable, because your light cannot be contained, and each time it is constricted it is bursting to be poured back into yourself and to expand and shine. The best way to expand yourself in this instance is to breathe fully and deeply, let your light circulate throughout your body, and put your focus on interacting with your own light. Your light shall expand so much that the other person will feel it, and feel a shift within themselves. Whether they express this outwardly is not your concern; you shall rest easy knowing you have done your own work, and simply need to keep focusing on how to best lovingly honor and interact with yourself, your source, your light. To be your authentic self is to acknowledge, interact with and honor your light. Do this with a sense of safety, for no one can take this light source away from you, or harm it in any way. It is always there, always whole, always complete, always perfect, always bright, always expanding, as are you, for you are the light, and are interchangeable with it. There is no separation; it is only you. When you ask these questions of how to interact and honor your light, the physical steps and actions become easier and are presented with little effort. For you are then not trying to ask how to bring the light in from the outside, but how to let it expand from within, and it becomes an ever-expanding circumference of light that activates and circulates the light in all the things that surround you. You create more and more opportunities to interact with your light, and the light of others, and this is a force that cannot be stopped. In this way you light your own way. I am here not to protect you anymore, although I shall, but the most powerful protection comes from expanding your light by acknowledging and honoring and interacting with it. So, you may call on me to protect, but even better is to call on me to help you interact with your light. And I will bring you my light to interact with as well. I am always here for you in any capacity you wish. You are safe to glow. August brings the opportunity to set a new course for ourselves mentally, spiritually and physically. We can either dig in our heels and resist change, or go with the flow and set new intentions for ourselves. When setting new intentions, let them be clear about not what will happen, but about what we will do, i.e, “I intend to gain clarity,” “I intend to write my story,” “I intend to find what I need.” This is, in it’s essence, the energy of August: keeping the focus on the self, and all the good the self can accomplish. This may be a difficult month to stay grounded, and others’ drama may attempt to pull us out of our loop. Maintain your boundaries, and use this somewhat slow-moving month as an opportunity for meditation and reflection. We’ll need an abundance of patience, especially when it comes to ourselves and the strides we perceive that we are making. If we keep the focus on our own gardens, we’ll gain that light-bulb clarity that we crave so desperately right now. Eventually, the process we experience is leading us to greater creativity and opportunity. Emotions will be purged, and we will be tilling our fertile ground in this process, preparing for the rest of 2018. Thus, don’t be afraid to be open and sensitive as a way to access your higher energies; just remember to do it for your own well-being, and to not worry about getting validation from others. This is your journey, and you are the only one experiencing it, and now is a time for us to become comfortable with that truth. Support is lovely, but we must also validate our experience with acceptance and love. When I ask Spirit to ‘sum up’ this month for us as individuals, I hear, “To make way for something new, something different, something more true to you.” This is a month nourish our bodily vessels in every aspect, let things flow in and out as they may, and allow our growth to take it’s course. This is especially true for the first half of the month; later on, we’ll find it easier to be more grounded, and to take action that feels aligned and easy. Archangel Gabriel’s name means, “God is my Strength,”, and Gabriel is certainly reminding us this month that we, as God, are the strength we need. 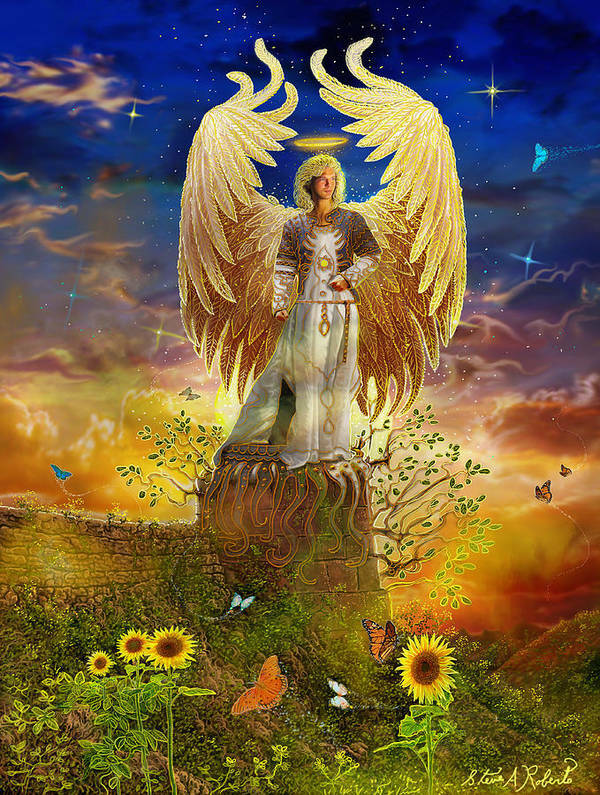 Gabriel is a messenger, helps with communication, and aids artists in every aspect with their endeavors. He/She/They also help with children, solving problems, and helps us to overcome fear and procrastination, and find the motivation within us to move forward. 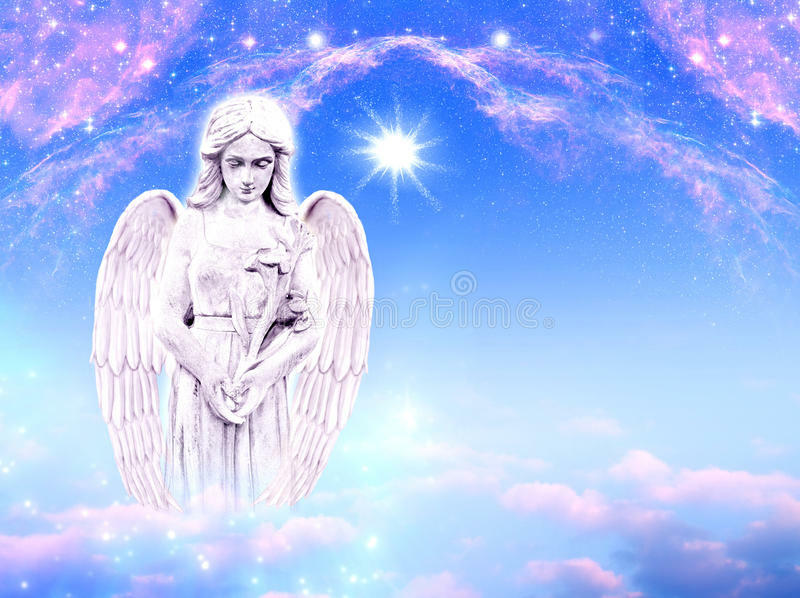 Gabriel is an angel who has always transitioned between genders for me, and at this time I felt a perfect integration and balance of all genders encompassed in their being. The aura is pure white, but I often get a light blue as well to help strengthen the communication between us. 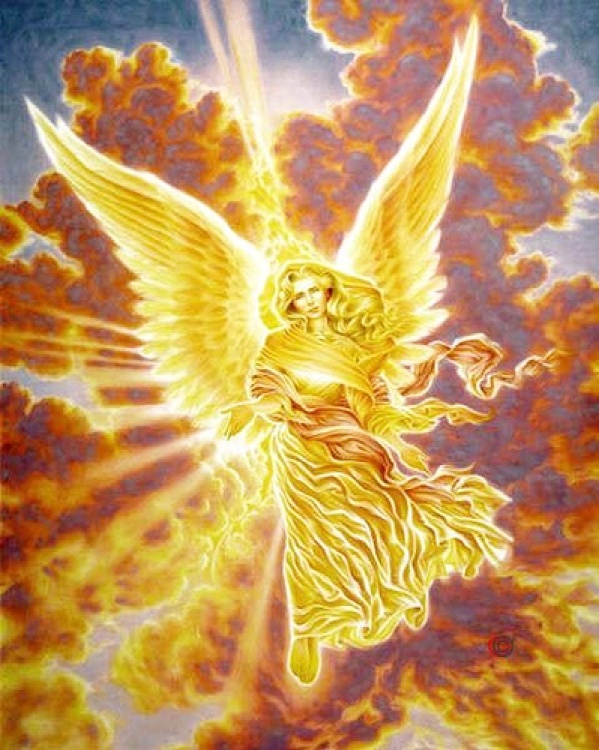 Gabriel has a gentle firmness, ready to give us the information we need, but only when we need it and not ahead of time. They are an amazing archangel who encourages us to do it for ourselves in order to build our strength. Gabriel will never abandon you once you call them in, and gives an overwhelming feeling of safety and security all. 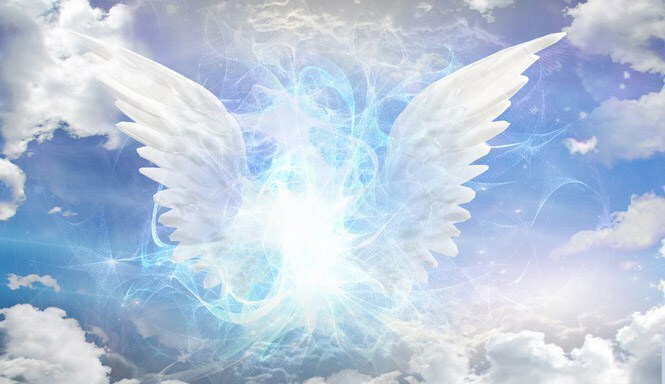 Dear Ones, I am Archangel Gabriel, and I am here to remind you to connect with all that you love. Focus on the relationships, the elements of life that you hold dearly in your heart, and make time for them every day. Whether you connect with them physically, or use the power of your imagination to center your heart on them, this is an important step in your process. Up until now you have largely been focused on fixing what is ‘wrong’, and now you are transitioning into creating what is ‘right’. The easiest way to make this transition occur is to focus on this love and your heart. Know that, in spiritual truth, there is nothing wrong, there is only discovery of yourselves. With each experience you find yourself closer to who you truly are, even when you feel farther away from it. Yet sometimes your soul aims to get as far away from your truth as possible, so as to make a joyous return journey and have that experience remembered for all time. So, trust in all your experiences, and if you wish to stay away from the un-joyous aspects, make the intention to align yourself with your Divine Truth in a joyous way. Your relationships are important this month; they are here to remind you of yourself, whether it is a pleasant or unpleasant experience. Remember this in your interactions, and allow these experiences to drive you deeply into your heart. Know that you can hold your own space while observing and seeing each relationship you interact with as a way to give you what you need at that time. Again, it is a time to focus on the love you wish to create, and not the discord you wish to abolish. I am here to help open your doorway to creativity and newness; I am here to help you discover the hidden pathway that you seek. Work with me in this process; transition your energy to prepare for this new course and direction. Transition your energy by focusing on what you love. Transition from the mindset of needing to address the issues to that of a newborn, a completely new canvass full of possibilities. For this is a time for you to realize not what the possibilities exactly are, but that they do indeed exist. “My life is full of possibilities, and I am open to connecting with them,” is your special phrase that I give to you. Being open to possibility is being open to life, to your heart. Be open to your heart and all the love that not just already exists, but that you can build upon. In this way you’ll find your best direction. The doorways you’ve shut from your past are now locked and closed; there is no need to worry about closing them over and over again. You are now in the process of discovering new doorways, and it will require some patience. However, know that these doorways are revealed as you open your heart to love and alignment with your most Divine Self. Call upon me for help with this transition, and know that all is being revealed at the right time for you. Trust in your journey, and carry love in your heart. Recently I had a vision with one of my spirit animals, a black panther [insert “Wakanda Forever” joke here] named Peter, who showed himself to me almost ten years ago. (I don’t like using the word ‘vision’, as it’s often portrayed in cinema as someone who loses all control over their physical motor functions and sees brilliant flashes of scenes and mysterious words. My visions come in meditations, and the difference between those and dreams is that I am a conscious participant in them.) ANYWAYS, when Peter communicates with me, it is not through words but through knowing. Our scenery will often change as the knowing becomes more elevated; it’s like a scaffolded form of receiving information. He gave me some insight into the energies of May, showing that we are tuning into higher frequencies by building a new ‘radio’ within our DNA and our spiritual structure. For many of us, our current “inner radios” only tune into a certain high frequency; thus, in order to tune into an even HIGHER frequency, our Higher Selves are reconstructing our abilities, i.e, our ‘radios’, so that we can shift into these previously unaccessible frequencies. With this comes mental and emotional elevation, as if we are receiving an upgrade to our perspectives and sense of self. However, what comes BEFORE and DURING this process are feelings of listlessness, fatigue, feeling blocked or trapped, boredom, questioning of self-worth, fear and worry, and the deconstruction of our values or concepts. These symptoms come from the inability to access our new frequencies, which causes a waiting period that creates a lot of self-doubt. Fun, right? So, I asked Peter, what can we do during this waiting/construction period of our new radios? In short, his reply was akin to oh, you humans. You don’t need to DO anything, just leave it to your Higher Selves. Learn to relax and enjoy, and keep focused on the picture you wish to create and live in. Therefore, our guidance this month is to chill out; relax, live in the present, and let the synchronistic process occur naturally. Most importantly, hold the ideal picture or vision of your life in your mind’s eye to tune into your joy, which will speed along this process of tuning into a higher frequency, without despairing about it! I have to touch on the concept of relaxation, as it does not mean lying in bed doing nothing every day. The energy of relaxation, as Peter showed me, means to give ourselves mental and emotional freedom from situations. It means to let go of our grip on something, and focus on dilation. It is releasing the energy of tightness, and allowing the energy of openness. Thus, this month, as conflict dilutes and clarity comes in, keep the momentum going by focusing on relaxed openness. If something is upsetting, or you are feeling lost, burdened, stressed or any other heavy energy, you just need to think, “Well, I’m going to relax now” and do the exact opposite of controlling a situation. Take a walk, focus on the wind in the trees, watch a comedy, take a nap, etc. Let our Higher Selves do the work this month, and us…well, let’s just live our lives with a sense of relaxation and fun, allowing the upgrade of our personalities to come in. Archangel Uriel came through this month, which I was excited about, because he’s my main squeeze. I love his calm and stern manner, which is like a gentle caretaker and guide. He brings insight, ideas and clarity to us when we need it, and we seem to need a lot of it these days. Dear loved ones, my presence is strong with you now. Your desire to gain understanding and knowledge is greater than it ever has been. I am here to ask you not to give up this desire, but to shift it towards something better. You wish to know and understand what is coming, the purpose of what is, and how to play your part. I ask you now to shift that desire to understand towards yourselves. Simply discover and seek to gain knowledge about The Self. I tell you this to empower you. You do not need to know the ‘why’ of someone else, or of a past situation, or the ‘what if’, although it is not harmful for you to do so; however, lingering on these things too long will keep you in a place you do not wish to be. So I tell you, do not fixate on these things that are trying to exit your energy field, otherwise they will stay and lower your energy. Take this magnificent focus you have and turn it inwards. Seek to understand who you are, and you will see the energy you need will arise within you. This requires asking yourself how you feel, and how you can feel better. It requires reflecting on what you know, and if you can know HIGHER. It asks you to take frequent pauses, to breathe deeply, and to allow your heart to illuminate your mind. Connecting with yourself will strengthen you in your emotions, your spiritual energy, your mental capacities and your physical strength, for you are drawing out your power from within. When we speak of inner power, it is simply anchoring yourself in your connection with The Self. This connection requires you to release limitations on who you think you were or are, and to remain open to where your Higher Self leads you. If you focus on loving connection with your heart, rather than demanding answers from your mind, the clarity will come effortlessly. I am with you always and forever, shining my light upon your hearts and illuminating this process. As soon as April began, I became overwhelmed with fatigue and illness. There were multiple days in a row where I had to sleep for extended hours, cancel commitments, and let go of lingering responsibilities until I could release many layers of weighted energy. It’s taken me over a week to bring my energy back up and feel healthy, and this is quite the metaphor for the month of April. This month’s energy will help us focus on readjusting our steps, taking time out when we need it, and getting to the core of our motivations. There is typically a sense of renewal during this month, but this time in particular is focused on feeling guilt-free about how we move forward. This means removing ourselves out of a reactive space, and asking ourselves what we really need. We are seeking this month to take action based on inspiration, but the energy is begging us to get in a space where we can receive that inspiration. Thus, self-care, patience and getting into a calm, relaxed state is essential for our growth to be a bountiful experience, rather than a tiring one. Try not to push too hard this month to make things happen; focus on rest, rejuvenation, and relaxation. Manifestation is best when it occurs from a joyful state of being. Change is always happening, and whether it appears small or large to us, it is up to us to decide how to see it. Some change may ask us to slow down and reevaluate, while other changes may be asking us to connect further with ourselves, even if they seem disastrous on the outside. We may not even be able to see change happening at all, but really we are changing on the inside first and simply have to acknowledge that. If we’ve been dealing with situations in the same way, this month asks us to adjust our actions so that they feel more aligned with our current state of spiritual evolution. What actions or perspectives are we taking that no longer are working for us, and that don’t feel right? It’s a great month to take a relaxed approach, release those worries about desires coming to fruition, and focus on the layers behind the desires. Focus on rebalance and self-love. Be open to the idea that the single ideas are not the only pathway, and that temporary measures can be necessary to take us from one place to the next. Less resistance to a pathway will open us up to next steps. 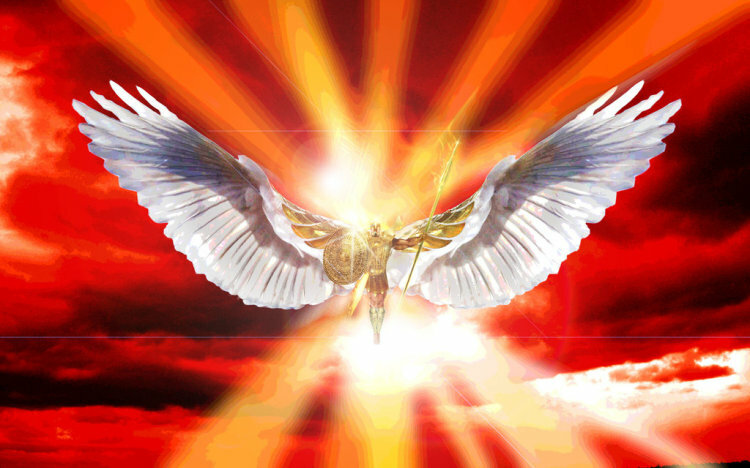 This month Archangel Machidiel came through, the Archangel of Courage. He brings healing light to our hearts, and gives us strength during challenging times. He can help to inspire us, bring us optimism, and helps us find our way by listening to our own hearts. Connecting with Machidiel is like being showered with golden light and energy, bringing cleansing and renewal. His energy is soft, gentle and loving, and also brings a very clear head-space. Machidiel will help you find clarity through the self, widening your connection to your Divine energy. I want you to know that you are doing nothing wrong. If you feel find yourself feeling judgmental of yourself in a negative way, simply ask yourself why. Your judgment is merely a piece of clothing that you can unravel thread by thread; when you do, you see that there is nothing substantial there to wear or carry. All you are doing is becoming a Spiritual Master of Earth Living. You are learning about yourself, and each thought, each experience and every encounter is here to show you more about who you are. This is a great process of self-discovery, and it will be beautiful to treat it as such. See this period as a time of self-discovery, where you are enabling yourself for future action that truly resonates with you, for manifestation that truly feels connected to your heart. Relax as you come into your being, for that is all you are experiencing. You are coming into your being and allowing yourself to shine. Relaxation and fun are never a waste of time. These are helping you most connect to your spirit. It is in these things where you create the most true experiences of all, for your joy is who you truly are. There are two major energies you can experience now: grasping at straws, or leaving the straws behind. See that there is nothing you need to grasp at! Ask why you are grasping in the first place, and if your focus and energy is better suited elsewhere. Remember that you don’t necessarily need to focus energy on things to achieve right now; you can focus it on who you are and how you want to be. Find the joy in being who you are, and in allowing yourself to settle into your vision of yourself. No action you take is a waste, but is merely energy you are choosing to put somewhere. Decide where to put your energy, even if it is in non-action, which is also never a waste. Everything is a choice, and each choice will lead you to where you need to be. Take the pressure off your choices, for it is not the choices that matter, but the energy behind them. Are you making choices that focus on self-love and care, and that truly resonate with who you are? Even if you are making a temporary choice in order to take care of yourself, that choice is leading you to where you need to be. Again, do not worry about the actual choice; focus on the thought process behind it. “I am making this choice to take care of this particular need, to follow this inspiration, to have some fun, etc” is most powerful. Make a choice not for the result it will bring you, but for the love and care it provides you. Even if is not ideal in your mind, that is simply your perspective judging it. Unravel that judgment, dear hearts, and create a perspective from a relaxed space. This relaxed space comes from focusing on the energy that is flowing through your body. See white light pouring down through your head and through your feet. See it also flowing in the other direction, up through your feet and through your head. Focusing on this for two minutes will get you into the relaxed space you need to receive clarity, connect to your heart, and dissolve the worry and judgement. I love you dearly! Call on me to wrap my loving wings around your heart, clear your head, and see your brilliant self as you truly are. During March there is always the start of a brand new astrological year, as we return to the sign of Aries after Pisces is complete. It is a time for us to reflect and review and to finish anything that is lingering before we take action once again. With three full moons this month as well, things are bound to get emotional, forcing us to face these issues and work on healing them. This month Archangel Michael came through. He is an angel of protection and love, but beyond that he is wonderfully empowering and humorous. If you are open to your angels being humorous, he will certainly connect with you in that way, showing off his goofy attitude. This time, as soon as I felt him, I got a huge grin on my face. He entered with a whole team of angels and guides, and when I asked what the party was for; he said it was for all of us. This month he said there is so much support around us, and to realize that we are never truly alone. It is a month for us to see the love we have within us, which will help us see the love that is available outside of us as well. Greetings dearest ones, I am Archangel Michael, your archangel fixer-upper, as you might say. (laughs) You are amazingly ascending, and while you may be going through some perceived pain in this process, you have much lighter energy to which you can look forward. All you need to do is focus on the love within, which will give you connection. Create a grid of love for yourself and you will see love all around you. Visualize a grid of light that is radiating loving energy and place it around your shoulders as you would a cape. This grid of love will be with you forever if you create it with your God-given imagination, and will be your compass to guide you towards the experience of yourself as love. Think of all the things you are currently worried about right now; I tell you, they are already resolved. It is not the resolution that matters now, but what you are learning on your way to the resolution. That is why this month is pivotal for you, because you will be learning what is truly important to you, and to us all: love. This month is about following the love; you will find when you follow the love, your problems are instantaneously resolved. These troubles you carry, you will not see them as problems anymore. You will only see them as a path you are walking down, another lesson you are integrating into your soul, and these lessons are only ways to help you experience yourself more fully as a love being. At this moment, and at all moments, we completely surround you in this love. Ask to feel it constantly and stronger, and do so by making a space for yourself to feel it. Breathe in my energy of love and strength, and feel it radiate within you. When you tune into this love, your eyes, ears and thoughts will be naturally drawn to the option that holds the most loving circumstance for you. If you find yourself worried about what to do, or what direction to take, tune into The Love. You will find that this is the only way to do things. When you have tuned into this love, and find your direction, your mind will help you figure out the details, but do not let it take you away from the essence of your decision, which is Love. You will find this is the only way you wish to make decisions, this is what your soul is calling you to do, this is why you are here at this point in time experiencing what you are experiencing, because you are leading the way to experiencing your true form, your form of pure love and light, and as you do this you will radiate and shine more brightly than ever. Remember that tuning into this love is not about what things appear on the surface, it is the energy behind them, so in following your heart you are not following concrete things or circumstances, or specific situations, you are following energy, and whatever you choose it does not matter as long as you are drawn to it’s love like a magnet. This energy is all there is, and it is all you are, and at this point in time you will feel it more strongly than ever. Remember we surround you with this love, familiarize you with it, and strengthen you with it, bringing you clarity of mind and spirit. Our love is always with you and forever. In January we amplified our hearts; in February, we amplify our strength and our truth. To me, I intuitively feel that we strengthen this new amplification of our heart centers, and bring to us new and inventive ways of making physical progress. This is a time for trust and belief in the self, and how the universe works for us. The tests and challenges that come along the way will only serve to strengthen us further, and help us heal the issues that have made us stray from the core center of our inner being. Archangel Metatron came through for this month’s channeling, and Metatron always gives me the feeling of courage and wisdom; when he is by your side, you are invincible. He teaches us how to use our spiritual power for good, and turn our negative thoughts into positive ones. He encourages us to be a master of where we put our focus. 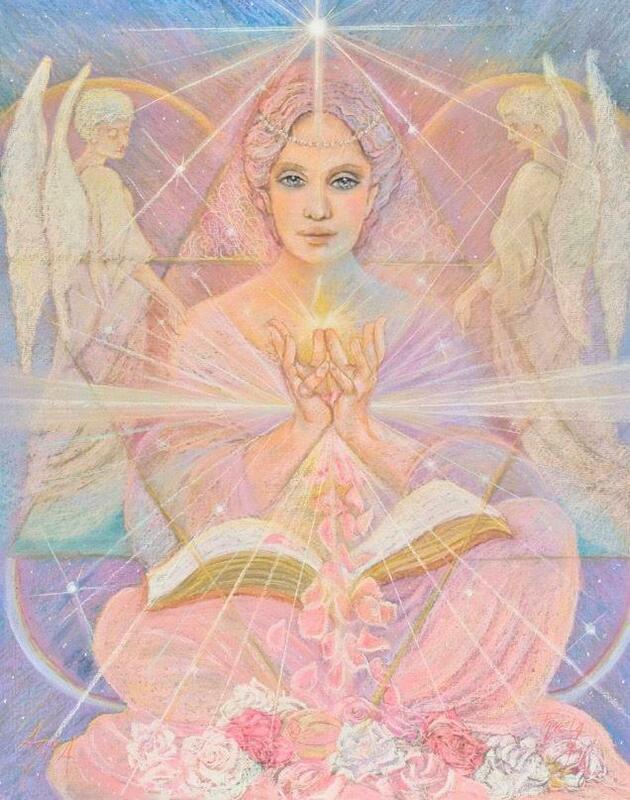 I am Archangel Metatron, and I am so happy to be with you each day as your time passes through this world. I tell you that you have been absolutely amazing, that in the higher realms we are amazed at how quickly you are progressing. You are incredibly in tune with your desires now; you feel more direction, deep within your soul, due to the deep connection you have made with yourselves. I want you to know that the changes you are both making and seeking are steeping deeply now. All is coming as it needs. I also am here to inform you to not make your life about the change; the change is not what is important. What is important is how the change reflects the development that is going on within you, and the pure connection you have made to your inner self. Focus and take time during this month to build your strength and courage, and give yourself a strong foundation to maintain these changes that directly mirror your inner growth. In the months that come, you will be taking great leaps; in order to not exert yourself, or give too much effort that drains you, now is a time to feel solid and sure within yourself. By this you know what I mean; you know when you feel a wobble within you, when you feel yourself faltering, so now is a time to anchor yourself in your new beliefs, your new desires and perspectives, and make them strong. This means to care for your physically body, take time with your emotions and thoughts, and anchor them constantly. Repeat your affirmations, write down your inspirations and reflections, and focus on this part of you that is emerging and let it come out strongly. There is not much you need to do; it will all come to you the more you anchor yourself in your truth. Let this new you be anchored to the ground, and feel the earthiness of it. In this way you are bringing your ethereal truth into the Earth and the physical world. Most of all, do not lose the healing perspective; all is here to serve you, help you embrace your truth and strength, and give you power. Focus on growing your inner power; there is no one you need fight against, no thing you need to exert yourself over; it all comes naturally and effortlessly when you remind yourself consistently of who you are, and how your desires reflect you. Anchor yourself in the why behind your desires, and state each day who you are: a loving, peaceful being, deserving of all manifestation. In this way, your life shall change. I am here to remind you of this strength as you move forward, onward and upward.